One of my most popular books is for women—and the men who love them. Understanding what women want, a question that Freud once asked in abject frustration, is a path to authentic relationship with yourself and others. I also recorded a lecture on this topic, Reflections on a Woman’s Book of Life. Other products of mine which may be of interest to you are the audio programs, Menopause: Initiation into Power and A Woman’s Spiritual Retreat. A Woman’s Book of Life concerns how women grow and change in 7-year cycles throughout our lifespan—and what to expect when we are changing! That knowledge relieves a lot of stress. Most women look up their current age in the book first and then read the book through. 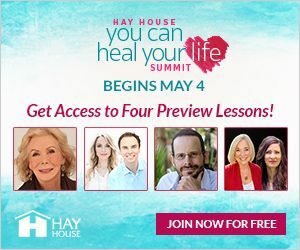 You’ll find that the information I’ve provided can help to set you free to become the authentic person you are through all the changes that life brings. It can also help you to understand your wives, daughters, mothers, and friends. Lal Ded or Lalla, a 14th century Hindu mystic who abandoned an abusive husband and mother-in-law to find her freedom wrote that “The soul, like the moon,is new, and always new again.” The core of the feminine lifecycle, as Lal Ded wrote, is renewal. A woman’s body changes every seven days with the phases of the moon. So do her emotions. While considerable emphasis has been placed on the negative aspects of PMS and menopause, the so-called dysphoric (or negative) emotions, when rightly viewed, have to do with a woman’s inherent relational wisdom and the periodic need to put herself right with the world. The purpose of A Woman’s Book of Life is to present a new bio-psychological framework for women’s lives that reframes negative biases and reclaims the innate relational wisdom of interconnectedness that describes feminine biology, psychology and spirituality. The first writings on the feminine lifecycle were included in the Yellow Emperor’s Classic on Internal Medicine, dating back to 2700 BC. The cycle was described as proceeding in 7 year increments, in accord with specific biological correlates such as the eruption of the second teeth at seven, the menarche at 14, and the menopause at 42. Unfortunately, the lifecycle was described in downhill terms from that point on, and while men were believed to continue to grow in wisdom until death, women’s useful years ended with childbearing. But modern research indicates that not only do we continue to grow in wisdom as we age, but that the body continues to mature in a positive fashion after menopause. In 1900 the average woman lived 47.3 years, by 1989 it was 75.3 years. Now, if you live to 65, you can expect to live another 18.8 years or to nearly 84. There are 470 million postmenopausal women in the world today, and by 2015, 50% of the women in the United States will be postmenopausal. The skew in population toward elders is a new sociological phenomenon. My premise is that social change will burgeon due to this large pool of women who have come of age in an era of opportunity for personal, professional, and spiritual growth. 21-42: Young adulthood is the most stressful time for women as we begin to make our way in the world. A little wisdom goes a long way in avoiding stress and developing the capacity to have healthy relationships and to mother either children or careers. The wild and wonderful biology of attraction, sexuality, and reproduction are most potent in these years and need to be understood. Why are we attracted to a guy who our higher cortex recognizes as a low-down dirty dog? Perhaps because the smell of his sweat travels up our olfactory nerves and tells our limbic system that he’s a good immunological fit—we’ll have hardy offspring together. If love is blind, it’s because the nose is working overtime! Fortunately, Mother Nature has some neurobiological tricks, which ensure that (unless we have been psychologically damaged early in life) we will also fall in love with our newborns. The working mother bind. Research from Yale indicates that most women (contrary to their mothering desires) put work first, kids second, spouse (if there is one) third. Women friends- who are the best buffer we have against stress- come limping in a tired, distant fourth. Spinning straw into gold. This is the process of turning old wounds into wisdom. The 35-42 cycle ushers in a period of healing in preparation for the hormonal changes that are already beginning to turn us into wise women. Three types of healing and practical suggestions for accomplishing it are covered: guilt (“Show me a woman who isn’t guilty…and I’ll show you a man.” Erica Jong); resentments, the biggest factor in lifelong stress; chronically over-extending and getting burned out. The forties transition; an opportunity more than a crisis. What do women do? For one thing they defect from academia and corporations in droves, looking for more “meaningful work.” This is just when I left Harvard and struck out on my own, echoing the cry of many women that, “It felt like a life-or-death decision.” There is an incontestable urge to seek higher values and to be of service. Why perimenopausal and menopausal women get feisty as estrogen declines and testosterone increases. The ovaries, like the rest of us, opt for a career change. Out of the egg business and into the ball business. The role of mid-life women as agents of social change. Sociological research indicates that 44 million Americans, or 24% of the population, are “cultural creatives” who embody feminine values of interconnectedness, concerns for children and the elderly, a desire to rebuild communities, an interest in spirituality and religious tolerance, and a profound ecological concern. Not surprisingly, mid-life women are at the core of this movement. Brain changes in aging. Research indicates that the brain, as well as the muscles, conforms to the “use it or lose it” rule. The brain continues to grow and differentiate new functions as we age. In particular, “storytelling” circuits form and we develop the capacity to create meaning and hand this wisdom on to future generations. Sometimes in the busy world one develops what we call the illness of being two-hearted. In Native mind that is the worst kind of illness you can have. It is where you want to do and have the ability to do but you don’t do, and you argue with yourself about it. We cannot do great things in this world. We can only do little things with great love.